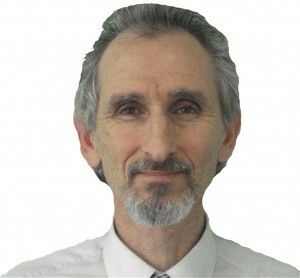 Peter has been in full-time practice using homeopathic and natural medicines for 26 years. He studied as a naturopath but quickly found his place in homeopathy with its “simple, single medicines and power to address the whole person”. He was co-founder, and principal of the Sydney College of Homeopathic Medicine for nine years. He has travelled to India, Britain and Europe to further his understanding and interact with practitioners who are at the cutting edge of homeopathy. He has authored the ‘Repertory of the Child’s Mind and Behaviour’ and ‘Rhus glabra, A Portrait of Abuse’ as well as a number of journal articles published in international and the Australian homeopathic journals. In 1994 Peter instituted a series of experiments with new medicines and developed a set of medicines made from the crystalline substances, the ‘gem’ medicines. In 2005 he produced his major work “Twelve Jewels’ which is the result of more than 10 years of group experiments and clinical experience with these medicines. He has presented a series of seminars to professional homeopaths and medical practitioners in the main Australian states, New Zealand, Britain, Holland, Norway and Germany. His inspirational work with his preparation of the Diamond crystal called ‘Diamond immersion’ has received outstanding reviews from seminar participants and clients alike. Peter is a practitioner of first hand experience and continues to experiment with and apply a range of medicines. He believes that a practitioner’s personal process of taking medicines is a door to an authenticity of truly knowing medicines, success in practice, his own healing and that of his clients. Peter is available for consultation every Thursday and Friday, with alternate Wednesdays and Saturdays.